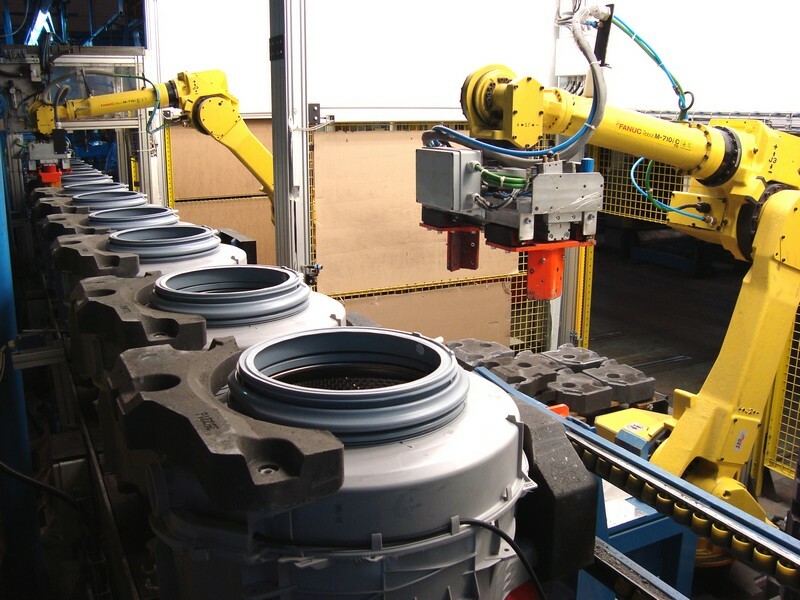 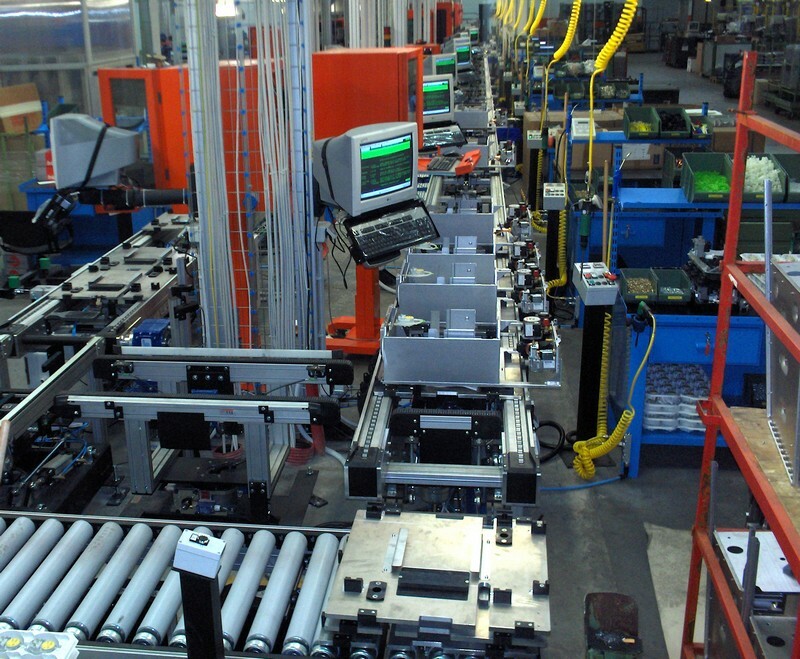 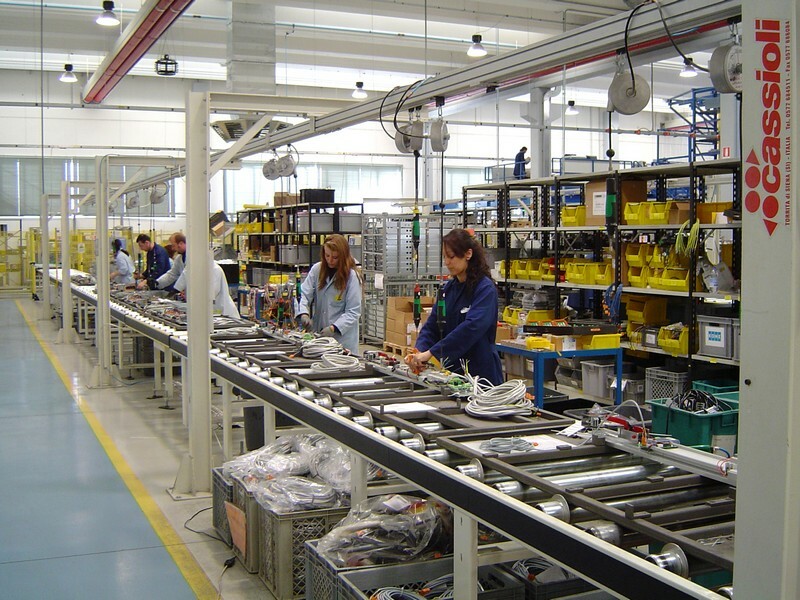 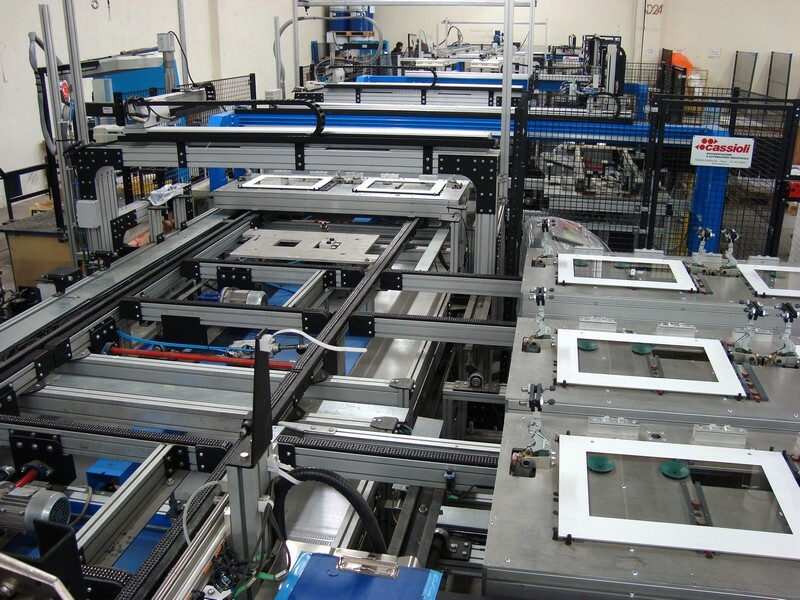 Based on functional needs specific to our customers’ operations, Cassioli assembly lines may include any number of sorting devices and/or bypass and decoupling buffers for workstations. 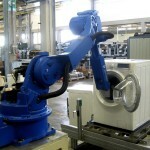 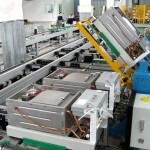 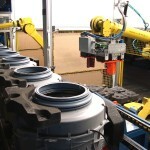 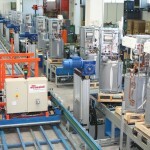 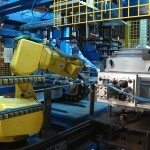 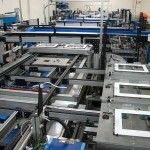 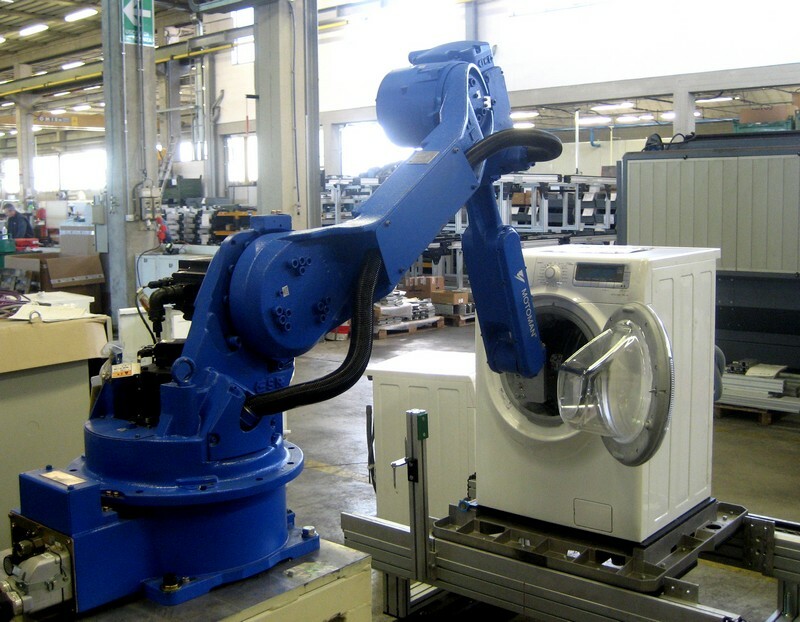 How materials are supplied to workstations (push or pull), the physical characteristics of the work piece, the size of the handling base, the volumetric characteristics of the work area, and the flexibility and production capacity required by the line all greatly influence the configuration of the handling system. 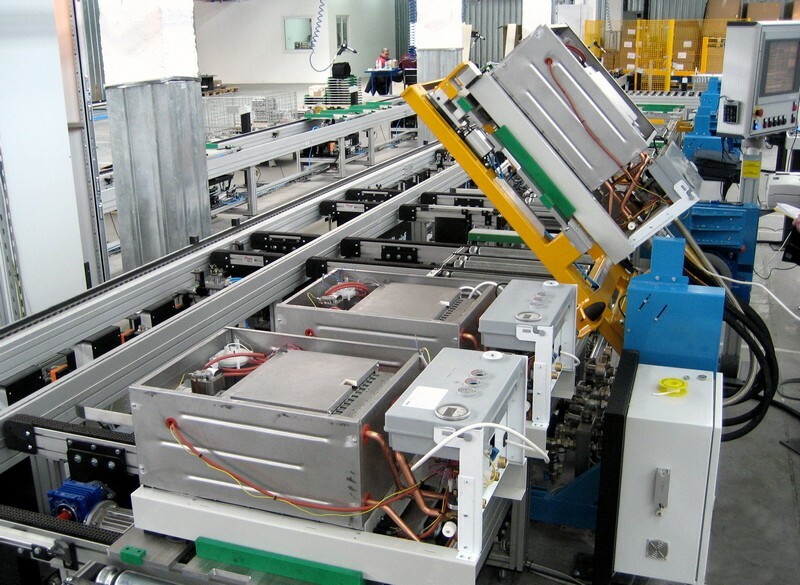 Based on specific functional needs, assembly lines may include sorting devices, by-pass and decoupling buffers for the workstations. 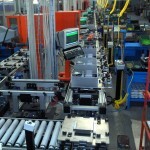 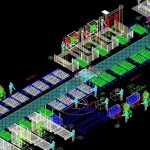 Line Layout design defines the shape and ultimately the flow of the assembly line. 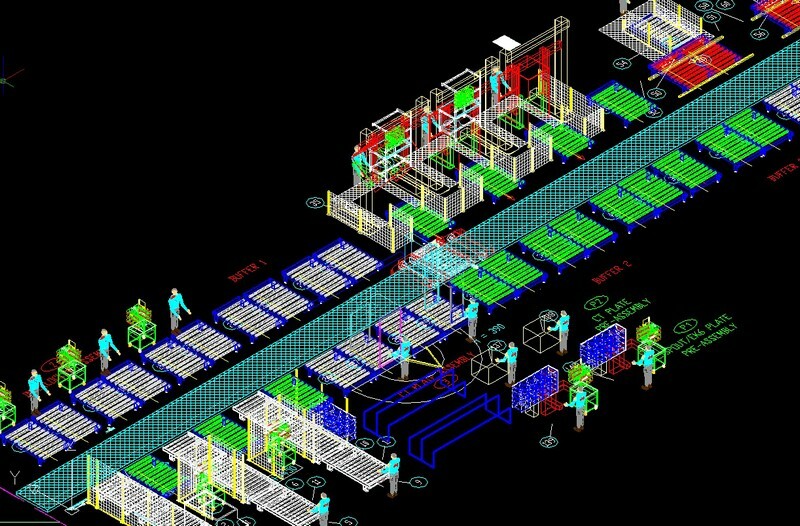 How workstations are served (mono-component or push/pull kits), the degree to which picking systems are automated (batch picking vs. order picking), and whether the flow is continuous or discontinuous are all variables that point to completely different line layouts. 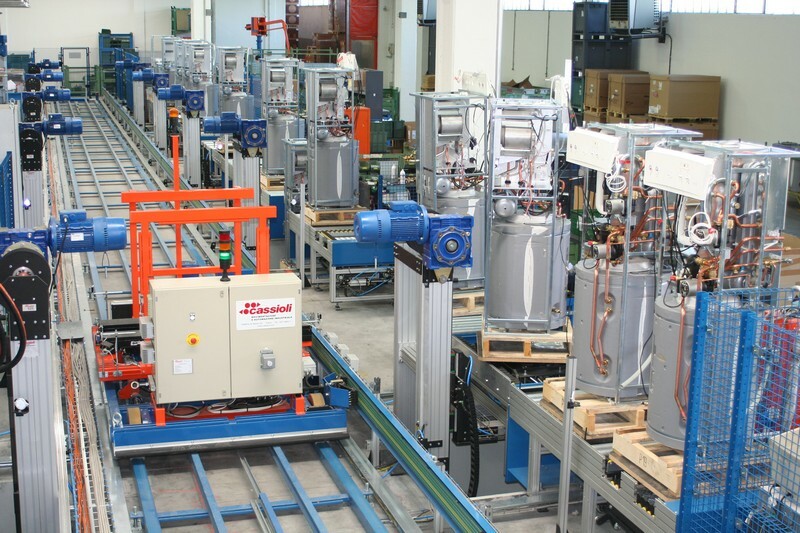 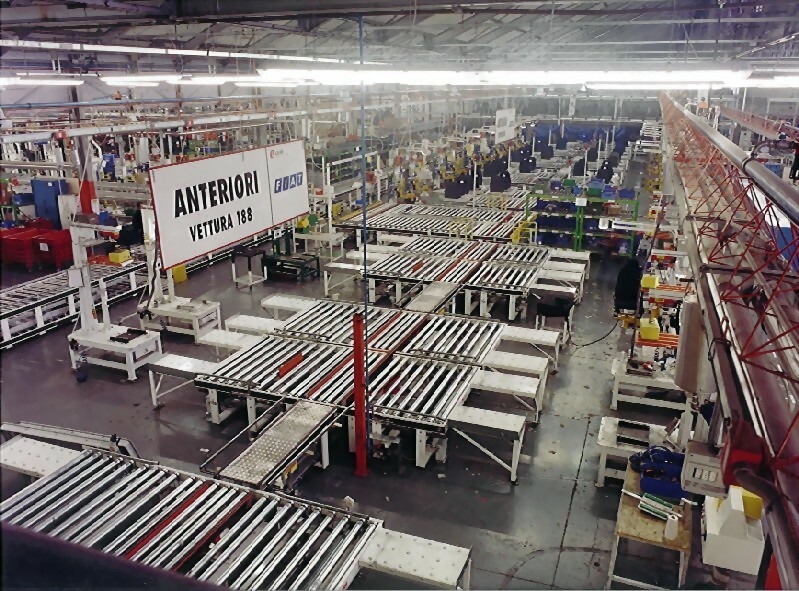 CASSIOLI is able to meet each customer’s specific needs, offering fixed-rate assembly lines or lines fitted with inter-operational reservoirs, snake-shaped lines, U-shaped main conveyor systems with external stations, double ring lines, horizontal-central continuous conveyor lines, systems with cart-served stations (linear routes) or shuttles (ring routes – see: SLS CASSIOLI) or automatic guided vehicles (free routes – see: LGV CASSIOLI). 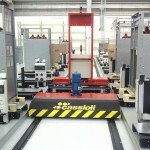 Regardless of size, CASSIOLI designs every workstation with maximum care. 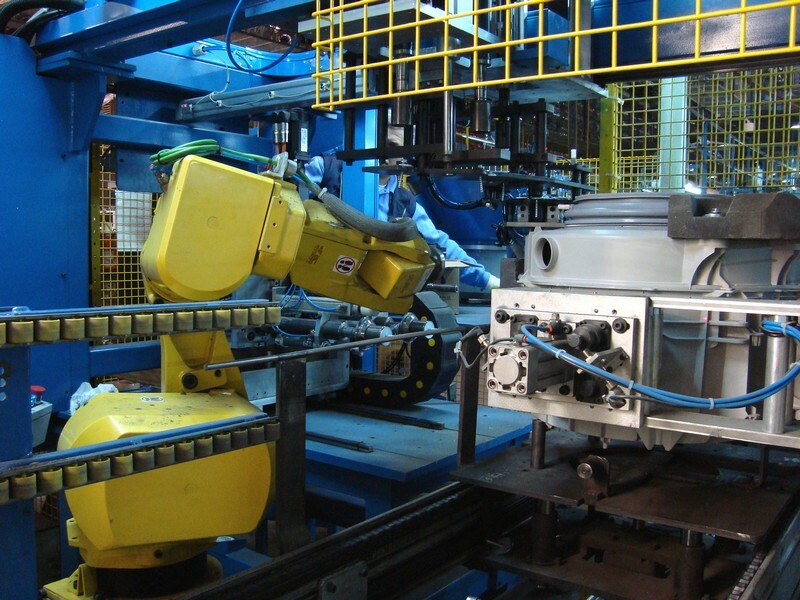 We design both automated workstations (anthropomorphic robots or customized automated systems) and manual workstations to guarantee maximum system efficiency and throughput, in addition to the best possible ergonomic and safety conditions for workers. 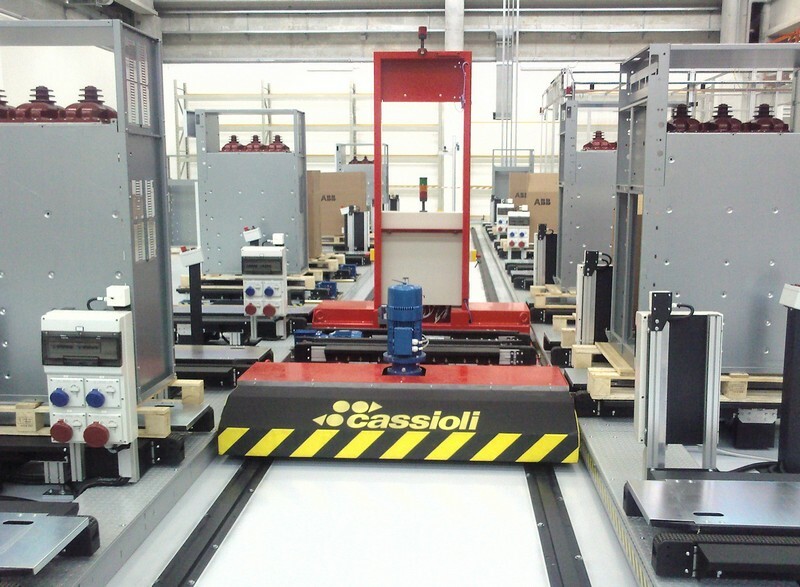 CASSIOLI does not offer off-the-shelf solutions. 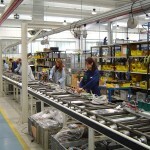 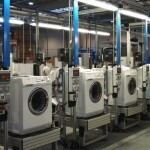 Rather, we offer unique, specialized, intelligent choices that are merchandise sector-specific. 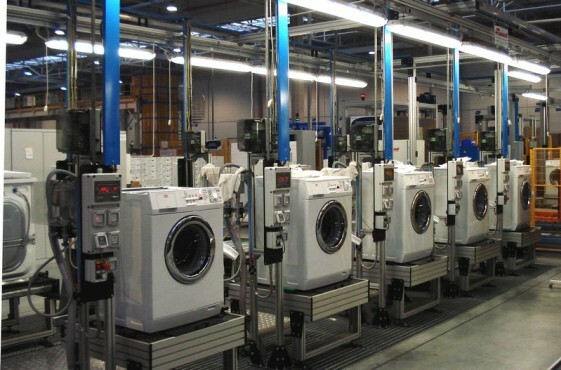 Our end goal – maximum productivity, minimal waste.